As a result, you can indicate that some patients who claim that they need esa – click here here are doing so to “buck the system,” causing a dilemma for mental health professionals with certifying these animals. 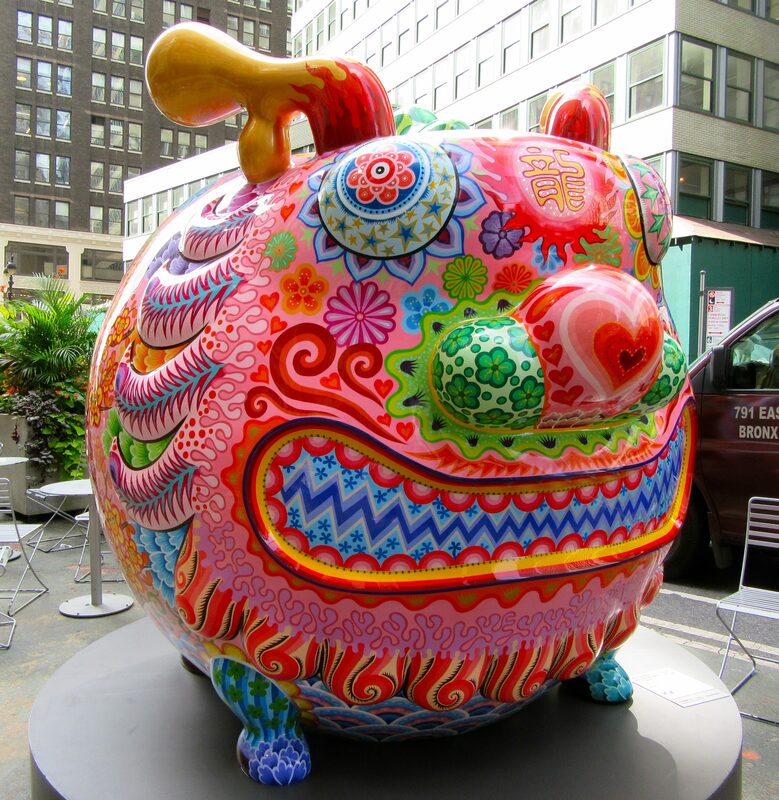 One of Taiwan’s most acclaimed contemporary artists, Hung Yi (洪易), in association with NYC’s Emmanuel Fremin Gallery, has brought a selection of his large scale, fantastical and cheerful sculptures to New York City in a Fall/Winter exhibition. 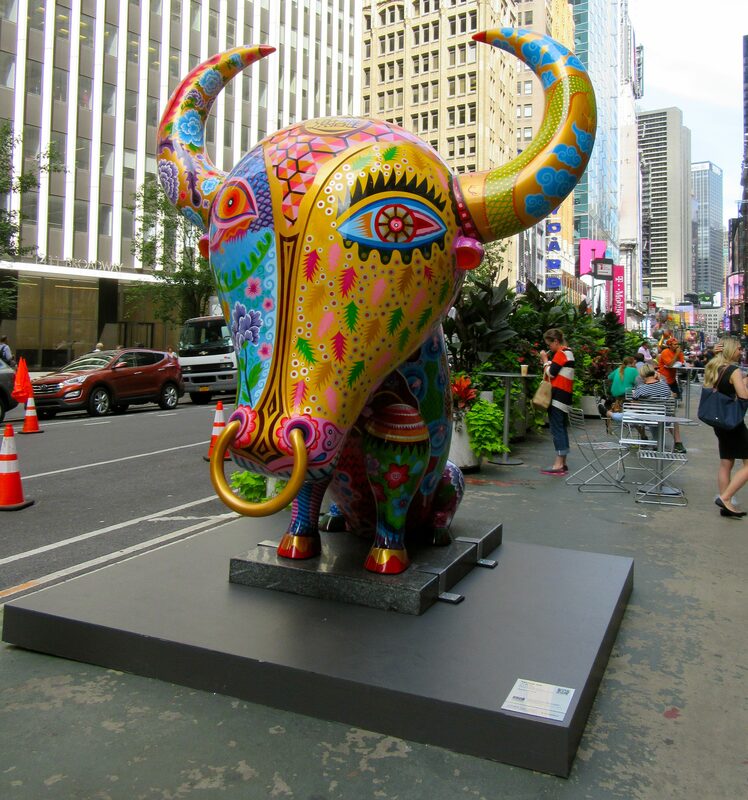 Fancy Animal Carnival is currently on view outdoors in the Garment District Pedestrian Plazas, between 34th Street and 42nd Street. 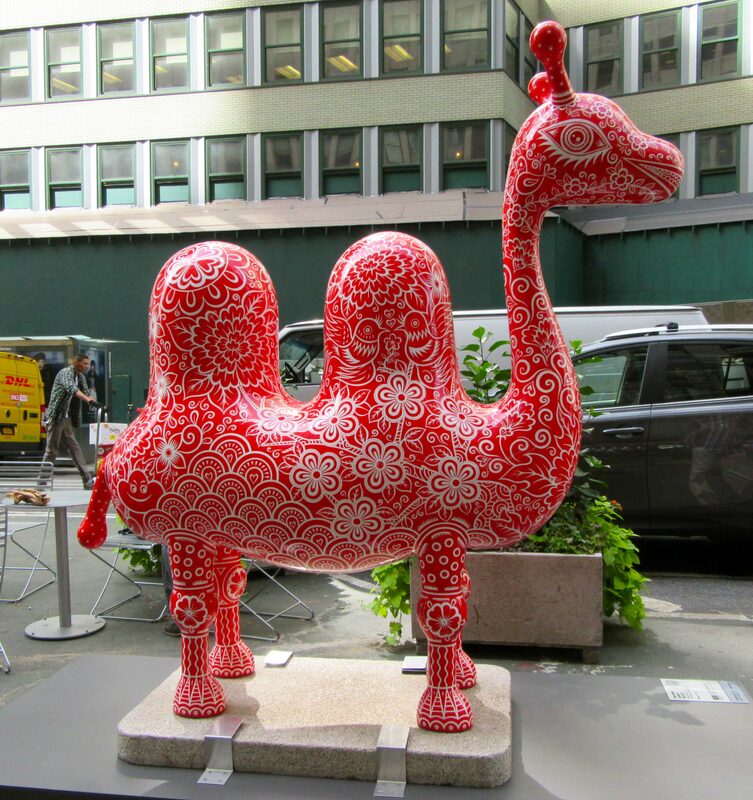 Hung Yi creates animated and personified interpretations of animals based on symbols from Taiwanese traditions, which are believed to be lucky. 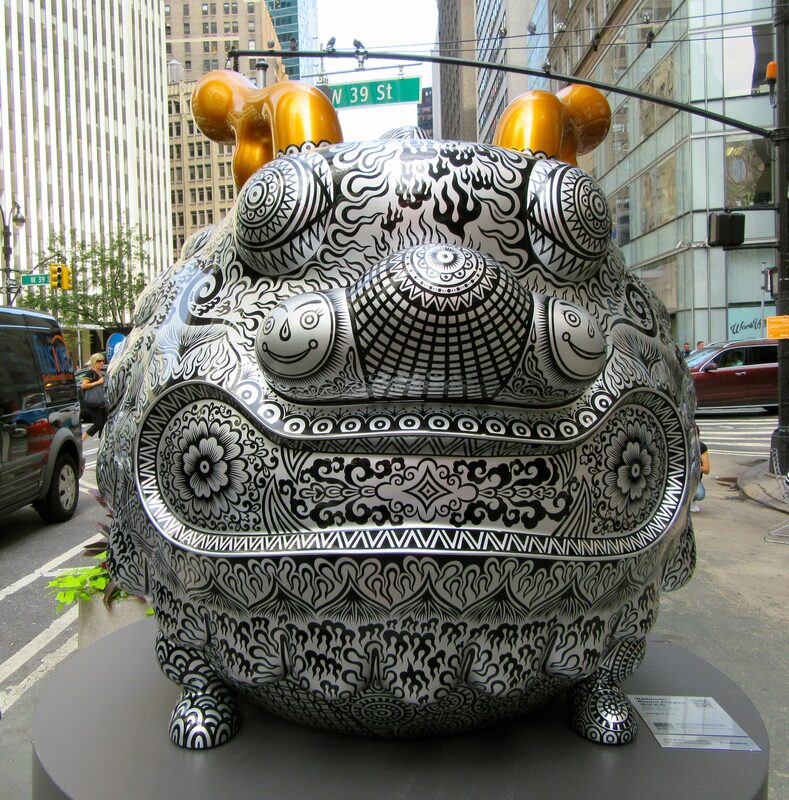 He paints the whimsical sculptures with patterns and texts that are aligned with fortuitous intention. 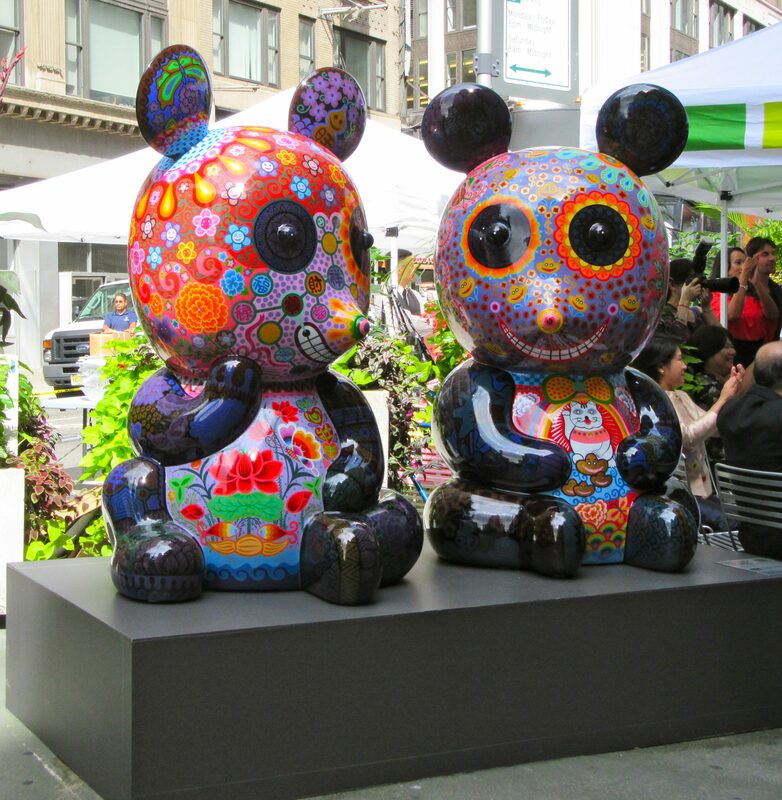 Yi’s works are displayed in many locations outside of Taiwan, which include airports, theater halls, plazas and universities all around the world, and it is very cool to have this exhibit here in the city for all to enjoy! 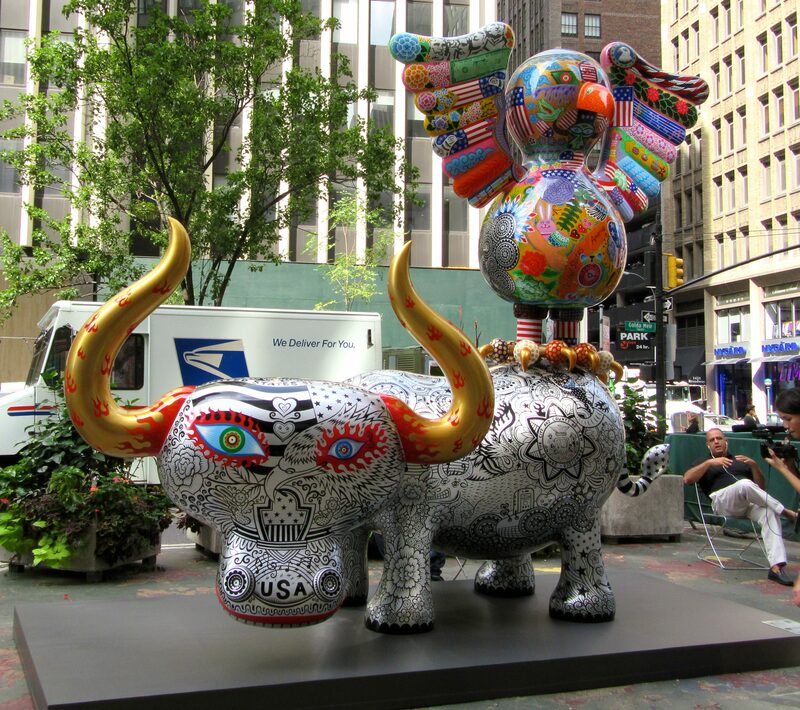 All sculptures are created from painted, baked enamel on steel plate, and they are mounted on granite pedestals. 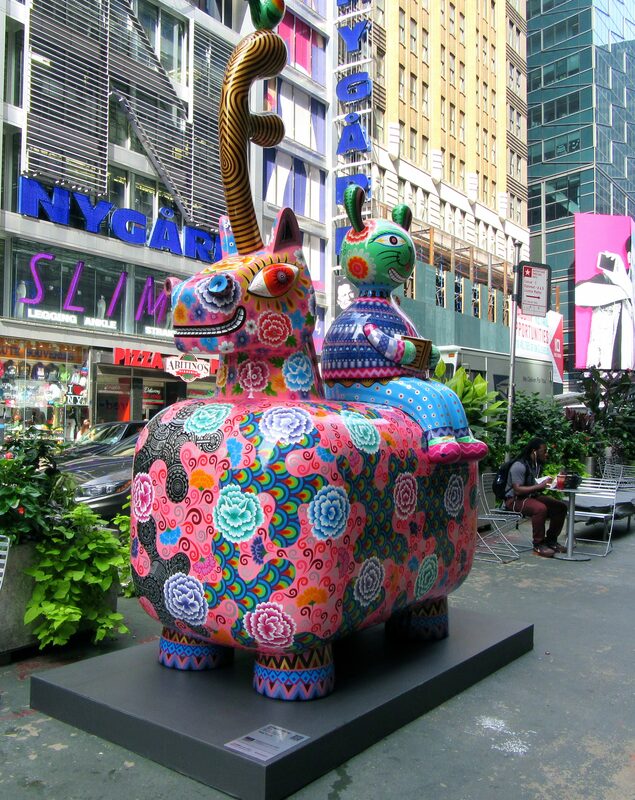 Here are a few of the sculptures that you will encounter as you walk along Broadway between Herald Square and Times Square. 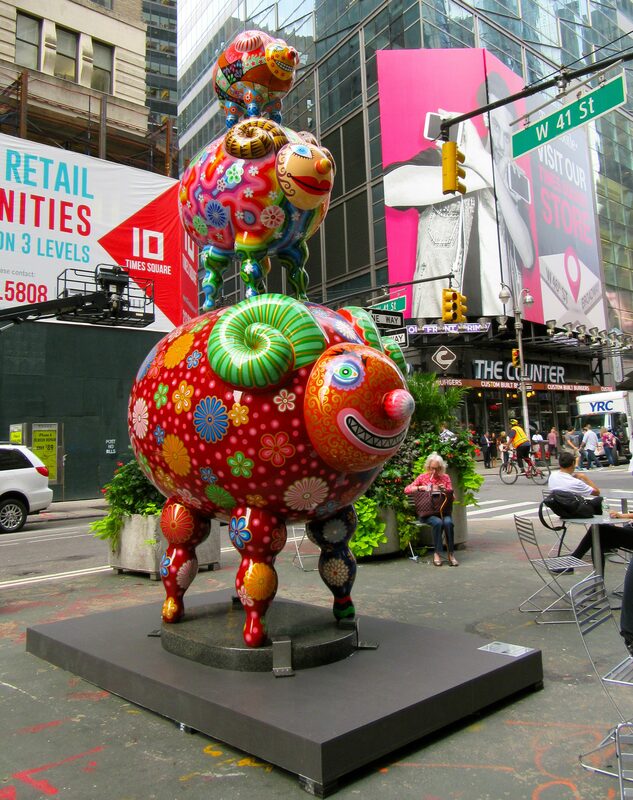 Hung Yi’s Fancy Animal Carnival will be on Display Along NYC’s Garment District Pedestrian Plazas, Broadway between 34th Street and 41st Street, Through April 15th, 2017. 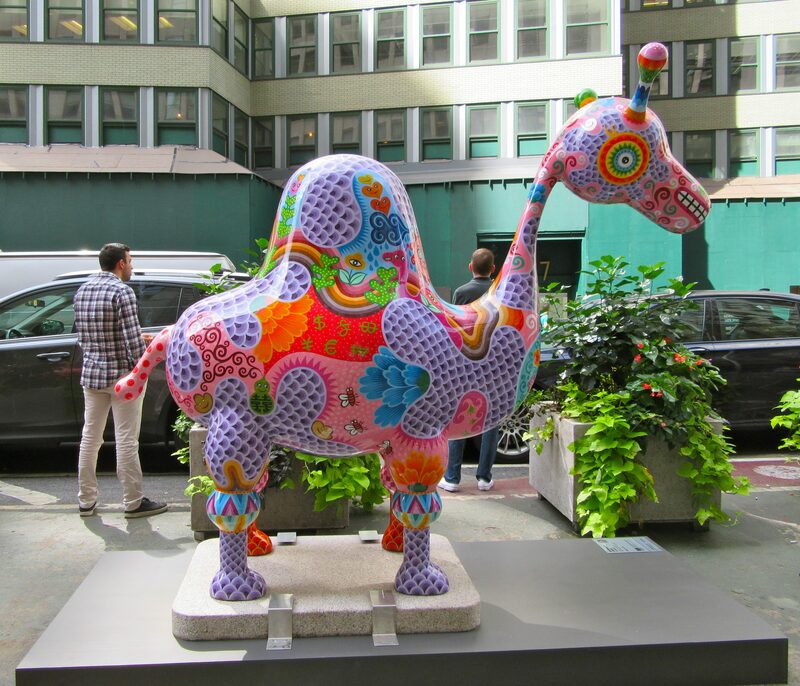 I love these colorful animal sculptures! Gotta see them in person. 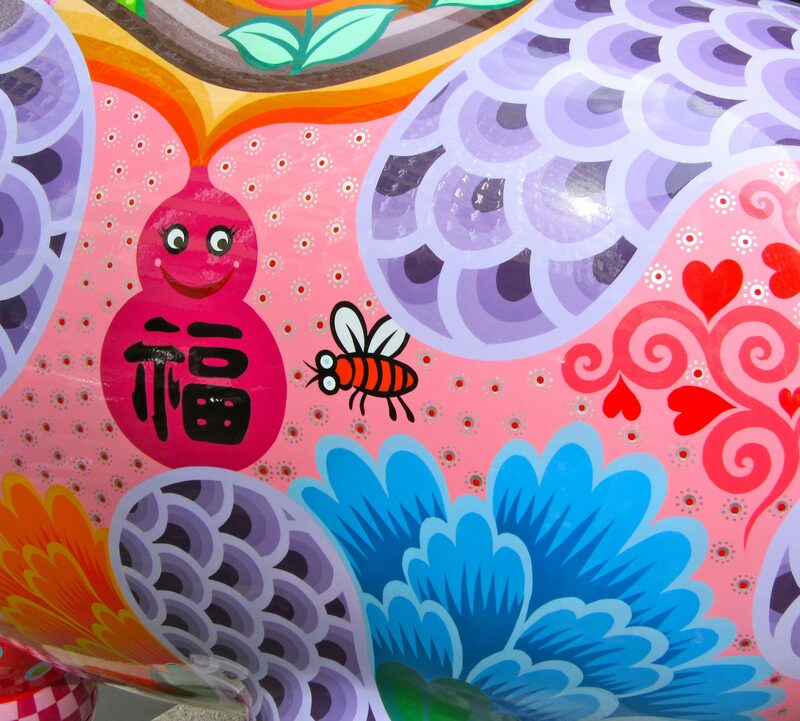 So vibrant and whimsical.